Global Kungfu News 14.09.2018,Mr. Fu Biao, the Goodwill Ambassador of the United Nations, President of International Cooperation of the Chamber of Commerce in Private Economy, the 9th and 10th Invited Vice President of China Wushu Association and President of International Kungfu Federation(IKFF),meets the president of Britain Kungfu Federation Mr.Lin Cunguo in Beijing. Firstly,Mr.Lin Cunguo reported to Mr.Fu Biao on the development of the British Kung Fu Federation.Mr.Lin Cunguo said that Chinese Martial Arts is famous for its fascinating and unique charm,attracting more and more British people to join the practice.In view of this,we will apply to IKFF Headquarters for the right to host the 2019 International Wushu Cultural Exchange Conference. Fu Biao mentioned that IKFF International Wushu Tournament Conference has been successfully held seven times in Beijing,Moscow and New York respectively.It has become a top-level brand event for domestic and foreign Martial Arts,attracting tens of thousands of Martial Arts Athletes from home and abroad to participate in the golbal Martial Arts competition.It is known as the "Olympic Games"in the Martial Arts World. The coming championship will be held in Phuket of Thailand on December 28th - December31th,2018.With the aim of further promoting the internationalization of Martial Arts,building an open mind and bringing together Martial Arts people of different nationalities and different skin colors to learn skills,enhance friendship and promote cooperation,innovation and development. Fu Biao pointed out that it is a pleasure for the British Kung Fu Federation to apply for the right to host and promote Martial Arts internationally. At present, there are four other Kung Fu Federation member countries (Canada,India,Indonesia & France) submitting applications in 2019, hoping to organize it in their respective countries. During the period, IKFF Headquarters will conduct a comprehensive assessment regarding the security, environment, venues and funds, etc.among the applicant countries, and form an investigation report. Based on the field and data analysis, the candidate member countries will be selected from among the applicant countries. At the appointed time, the candidate member's parliament will make a statement. Member countries that have applied successfully must comprehensively do specific work such as service, safety, competition, management, and investment promotion. IKFF will invest a certain amount of funds according to the actual inspection. 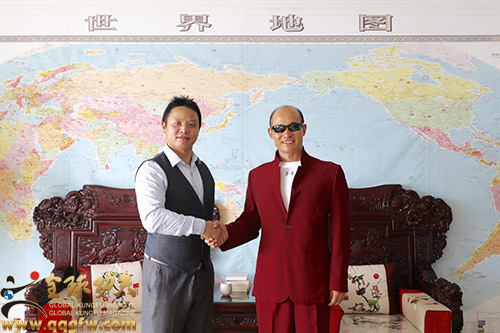 By holding the "Wushu/Kungfu Championship", the president of the Kung Fu Federation of the host country will have a great boost in personal influence and social influence. The development of Martial Arts in the country would be promoted and popularized in the years to come. Fu Biao emphasized that the presidents of our member states should stand at the height of culture issue to consider,analyze and innovate as well as create to promote Martial Arts. In the process of promotion, we must have a inclusive mind of thought, and make perfect combination of competition and tradition to go forward simultaneously hand in hand.We must train a group of outstanding Martial Arts talents who can perform wonderfully and lead the development of Martial Arts culture. Wushu has originated in China but belongs to the world! It belongs to sports but is superior to sports! Martial Arts is the identity of thought and body language. It is an integration of art and aesthetics, strength and mastery! Wushu is a kind of skill that helps a person develop the coordination and action between the brain and body. By increasing the level of the state culture, the high level of national thinking can be achieved. Thanks to Wushu it is possible to lift national spirit. A nation with deep thinking is the nation with dreams, goals and hopes. Only with national spirit can a country become stronger and stronger. Both governance of the country and family prospects are inseparable from the ideology, culture and spirit! People who exercise their martial arts should constantly upgrade their ideology and philosophy, cultural accomplishments, spiritual realms and Kung-Fu skills so as to sublimate everyone social responsibility, influence, awareness, values, image and status as well as personal charisma. Thousands of gorgeous languages are not as good as one action. 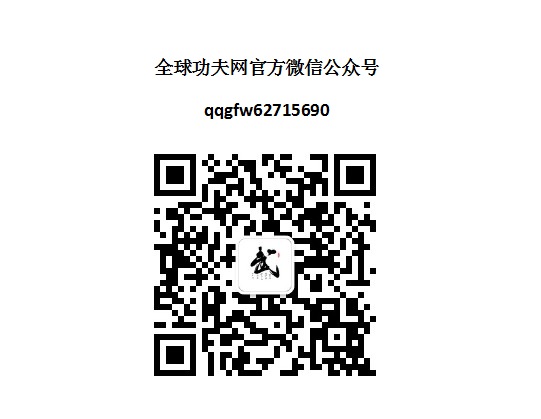 We need to take concrete actions to promote the vigorous development of the Wushu cause for the people of the world to enjoy the health and happiness brought by Martial Arts, and ultimately to win the world with the charm of Martial Arts,summarized by Mr.Fu Biao. Mr.Lin Cunguo promised that members of the British Kungfu Federation will participate in the Phuket of Thailand Kungfu Championship in December 2018. Fu Biao granted the latest Wushu / Kungfu revised version Textbook edited by himself to the presdient of British Kungfu Federation Mr.Lin Cunguo as the friendship and encouragement of the interview.A group photo was taken at the headquarters of IKFF Beijing as follows.